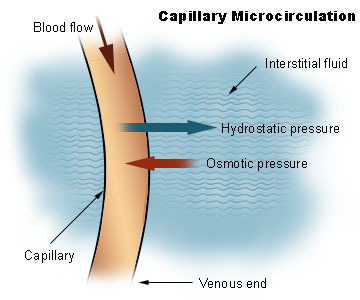 Depiction of the major types of capillaries, showing fenestrations as well as intercellular gaps. 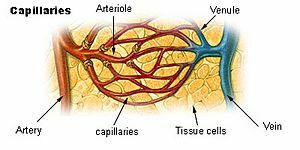 Simplified image showing blood-flow through the body, passing through capillary networks in its path. Capillary Facts for Kids. Kiddle Encyclopedia.